Cleanse your skin thoroughly by using a good facial cleanser that matches your skin type. Make sure you wash your face and neck properly. Pat your skin dry. Remember, pat not rub! After this, use a good quality toner, if your skin calls for it and then, moisturize with a good moisturizer that is meant for your skin type. It is important to use a primer before you apply foundation as it blurs out your pores, makes skin look even, minimizes fine lines and increases the longevity of makeup. It perfectly minimizes all the facial imperfections and adds a hint of colour and glow to the face. Believe me, it makes a huge difference if you apply primer! Primers can easily be applied by using fingertips. Squeeze some amount of primer onto your fingertips and dab small dots of primer on your cheeks, nose, chin, forehead and neck. Blend the primer evenly all over face and neck. Wait until it gets blended and absorbed by your skin. And, tada! Primers come in a lot of different shades. There are two types of primers – water based and silicone based. Water based primers are suitable for oily and acne prone skin type. Where as silicone based primers are suitable for all types of skin and they minimizer the appearance of pores too. Some primers also come with radiance and skin care properties. BB creams are a good example of that. You can choose your primer based on your skin type and other relevant properties you wish to see in your primer. Foundation is the base of every makeup. It is the most basic, yet important step of every makeup routine. Foundation gives us that confidence by enhancing our complexion. A good foundation spreads evenly on the skin and hides flaws and other imperfections. This makes the skin look more radiant and natural. Foundations are available in different shades, types and texture. They are available in wide range of colours and types, from liquid foundation to stick foundation, powder pressed foundation, cream based foundation etc. But, the most common and popular is the liquid foundation type. Although, there are many types of foundations available in the market, I would like to share the techniques of applying the most common – liquid foundation. • Always wait for a minute after you apply primer to make it settle down. • Start off with taking some amount of foundation on the back of your hand. You can treat your hand as a palette to avoid usage of excess foundation on your face. • You can use your fingertips, a foundation brush or a beauty blender/sponge to apply the foundation. There is nothing wrong in using fingertips if you want to avoid brush or sponge. • While using fingertips, always press foundation as much as possible into your skin for even looking colour and natural glow. 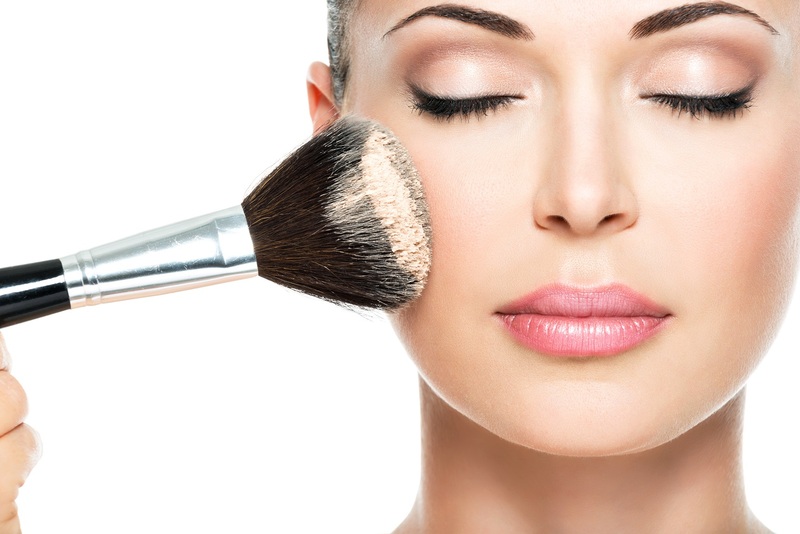 • If you opt for a foundation brush, always move the brush in small circular strokes to buff the foundation in. • If you wish to use a beauty blender or sponge, roll it with every touch to blend in properly. 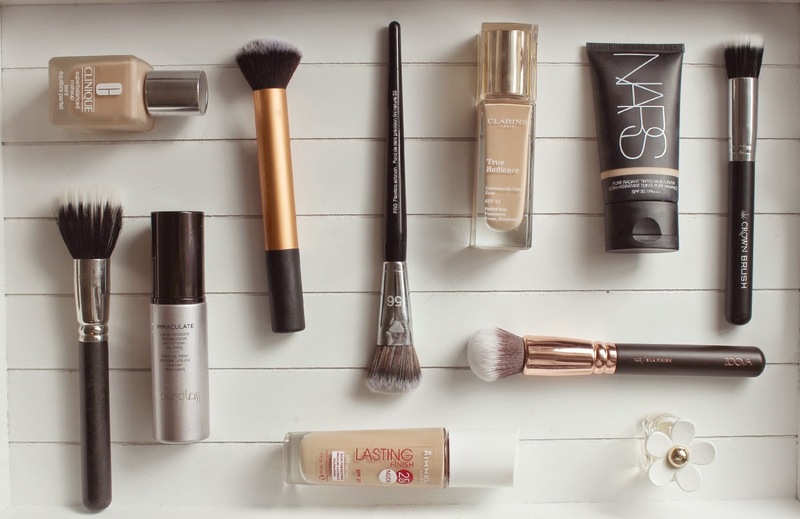 • Always go for a light coverage, hydrating foundation for dry skin types. • Look out for the ingredients that can nourish and soothe your complexion. • Cream based foundations are best suitable for dry skin as they are a little greasy and creamy. • Matte foundations with no shine or dewy appearance are suitable for oily skin types. They are perfect for oily skin as they help control the oil. • If you suffer from acne, opt for a mineral based and oil free foundation that will help combat spots and cover them. If you are lucky enough to have a normal skin type, you can try both matte and luminous foundations. Choose the best one based on your preference. As foundation tends to settle into the wrinkles and fine lines on aging skin, it’s always a good option to go for a lighter coverage, liquid foundation for younger looking skin. A concealer is used to mask dark circles, fine lines and other blemishes visible on skin. Investing in a quality concealer is desirable to achieve that flawless skin. Concealers are available in different variety of shades – from lightest to darkest. Always choose a concealer one or two shades lighter than your skin tone to better hide your blemishes and dark circles under the eye. Well, there are a numerous ways of applying concealers, but I will be sharing a few quick and easy ones. Apply concealer heavily underneath eye area and extending a little sideward too. Blend the application using a brush in circular motion on the eyelid as well. You can follow the same if you are using a sponge. Just do not swipe the concealer! Instead, dab and blend it into your skin. • Liquid concealers are best suitable for all skin types. They work wonderfully for dark circles, red marks, brown spots and they are the best ones to use if you have acne problem. • Cream concealers work nicely around the eyes and are best for camouflaging red areas, which are particularly dry. • Matte concealers provide extra coverage and are great for hiding blemishes. • Stick concealers are a bad idea for acne prone skin. They have high content of wax and that may block pores and make the coverage look heavier. Bronzers give a natural and glowing feel to your face. Bronzers help in contouring and highlighting the face in several ways. 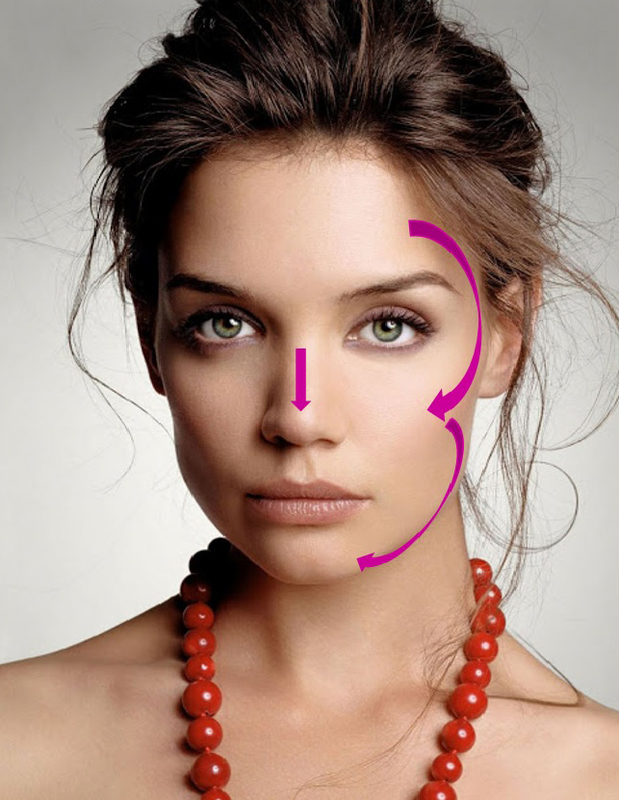 There are many techniques used to contour and highlight the face of which the most popular technique for highlighting is applying bronzer in the shape of number 3. This is the easiest and the best way to use bronzer as it slims down the face, highlights the cheekbones and makes the jawline more prominent. • Begin with applying the bronzer on the top of forehead and hairline and then, move towards the cheeks, maintaining a distance of two fingers away from the nose. • Move backwards towards the temples and sweep on the chin in the shape of number 3. Bonus Tip: Bronzers with shimmers can be best used to highlight underneath the cheekbones and top of the nose. There are wide varieties of bronzers available in the market in the form of powder, spray, gel, cream and liquid. • Powdered form of bronzers is best suited for oily skin. • Cream bronzers are suitable for dry skin. • Bronzers are either matte based or shimmer based. Matte bronzers will give you a natural look whereas shimmer bronzers add glow to your face. • While selecting a bronzer, always go for a bronzer that is two shades darker than your skin. • Instead of trying the shade on your hand, try it on the face and look into the mirror closely. An ideal bronzer should give warmth to your complexion and should not darken it. This is optional, but it’s always good to use a compact powder to add more coverage and seal your foundation. Using a compact increases the longevity of makeup and gives you a smooth finish. Just swirl the powder brush in the pan and gently move this brush all over face. If you desire for a more powdered matte look on your face, you can use a powder puff. Just press the powder puff into the pan and press the powder all over the face. If you are going for a cream compact, always use a sponge and evenly press the compact on face. Make sure you use only the right amount required to avoid the cakey look. It’s always a good idea to sweep some amount of compact powder on your eyes just the way you sweep your brush for eye shadow. Go for this before you apply your eye makeup as this gives a good surface to blend the eyeshadow. • Always go for hydrating powder if you have a dry skin. You can look for the hydrating ingredients before you buy the product. These ingredients add moisture to the skin. • Cream compacts are a good choice for dry skin. Compact powders are always the best option for people with oily skin. The pressed powder helps in controlling the shine on face and absorbs the sebum giving you a matte finish. However, people with normal skin can go for a compact that best suits their complexion and serves the purpose of using one. It’s also important to choose the right shade wisely according to your complexion and skin tone. So ladies, always invest in products wisely considering your skin type, complexion, ingredients and the quality of product. haha thank’s 🙂 i do the same.